This week February 25th - March 3rd 2019 is National Eating Disorders Awareness Week. As someone that specialises in this issue that affects so many of us and our loved ones, I am often met with this term ‘Eating Disorder’. When speaking or writing about my work, I find myself in the position of finding new ways of describing my works’ focus. I am not a fan of the word ‘Disorder’. The reason being, for many people who struggle with food, maintaining ‘order’ is of the highest importance. In fact, it is the quest to create and maintain their own sense of order and control over their eating that becomes the new problem; more problematic than the disorder that had originally felt like the problem they needed to solve. In fact, for so many people who suffer in this area, it is this very tension between ordered and disordered eating which is itself the source of the suffering. The more polarised these two ways of being with food, the more extreme the parts of the person can become. For example, a preoccupation with certain foods can lead to over-indulgence. In a so-called ‘normal’ eater, this might lead to some guilt and even a vow to swear off for awhile. 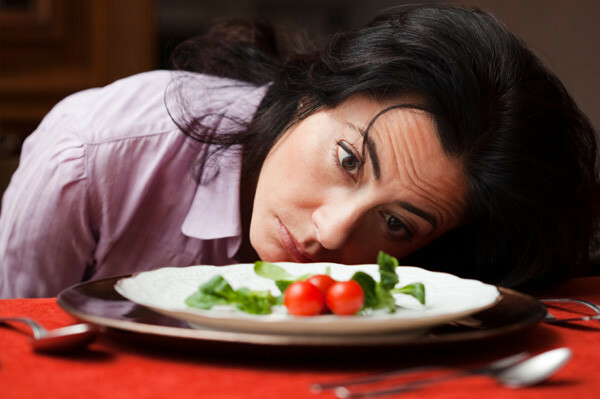 In someone with a food imbalance, such a perceived transgression could lead to a harsh internal attempt to regain ‘order’ in the system. The above methods are inextricably linked. Typically, the greater the indulgence - real or perceived - the harsher the internal self-judgement. And the harsher the self-judgment, the more rigorous and committed the plan and execution of regaining a sense of order (and physical perfection) at all costs. This can be via many means, including various forms of purging, “detoxing”, gruelling exercise routines, and “fasting”. The laws of the Universe are faithfully constant: the more extreme a reaction is, the more extreme the counter-reaction tends to become. The more perfection and purity is sought, the more the obsession with food and indulgence (whether conscious or unconsciously repressed) becomes. I have worked with people who were morbidly obese, and then became dangerously underweight … a part of them sought to create ‘order’ through rigidity and restriction. I have also worked with those who were extremely thin in their teens and twenties, and then became overweight later on in life. A part of them sought ‘order’ through redressing the imbalance, only to find that no boundaries or limits to eating can create just as much of an obsession with food as overly strict boundaries. For me, the word ‘balance’ describes a state in which an individual can walk a new path, choosing moment-by-moment, and meal-by-meal, to walk the middle way between - and despite - the potential extremes within.